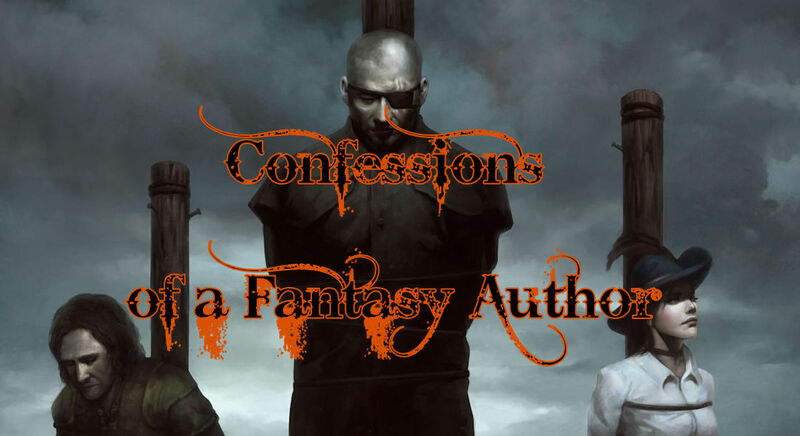 A new year and a fresh batch of authors willing to share their sins with you. 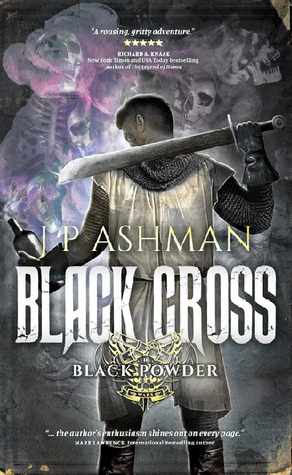 Today, braving my confession booth is J P Ashman, author of Black Cross. Judge him harshly readers, for he brought pictures and included them in a word document rather than as separate jpegs! I’m embarrassed to say that I didn’t read novels much – if at all – between my mid-teens and my mid-twenties. I read plenty of history and mystery books full of knowledge and theories, but no novels. It was a real fictional slump for me. My only experience of fantasy in those years was on the screen – I’d even given up my love of Warhammer Fantasy to chase girls, drink alcohol, ride motorbikes and play rugby. When I started scooting around the world on holidays, I needed something to pass the time in the sky, so I picked up a novel about the Falklands war. I then picked up other modern military novels, by actual soldiers who were telling us their experiences, good and bad. 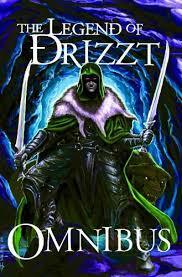 My love of fantasy clearly remained, however, because it wasn’t long until I discovered R.A. Salvatore and his fabulous character Drizzt. Fantasy was back in my life in a big way, and with it came Warhammer 40K, strangely enough. The first stories I wrote since school consisted of Warhammer 40K battle reports for my brother and friends. We’d play a game and I’d write up a report of the tabletop happenings in story form. I loved it. They loved it (so they said). I’d likely cringe now if I read them – not that I know where they are, thankfully. It wasn’t long after that I spoke to Wifey of my urge to write down the fantasy world that was stuck in my head. She told me to do it. She’s like that. Matter of fact, with a real can-do attitude. So, I did. I wrote Black Cross (very different in comparison to the current book) down on paper. It sat there for a couple of years and did nothing before I typed it up, with huge changes (still very different to today’s book). But that’s it. That’s where my writing came from. A love of fantasy and Warhammer 40K battle reports for my gaming pals. I threw Black Cross out into the world too soon! 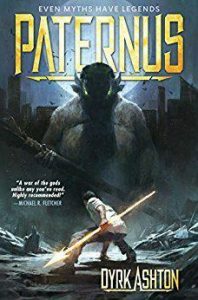 I entered Black Cross into Mark Lawrence’s first SPFBO competition unedited, and yet it did fairly well. Four stars off Sarah at Bookwormblues.net despite the complete lack of a professional edit. In fact, she still put it through to her own group’s finals before knocking it out for that very edity reason. I’d jumped the gun. I’d been naïve. Overly excited about the world reading my imaginary world. I was gutted… and yet not gutted: Marc Aplin of Fantasy Faction congratulated me on losing through a technicality. ‘It wasn’t your characters or worldbuilding, your plot or magic. It was your lack of an editor. That can be fixed!’ he said, or something along those lines. He was right. I sought an editor immediately and never looked back. My years without reading meant I’d missed a lot of big name authors and their popular works. Sanderson and Hobb, to name but two. I was chatting to Mark Lawrence when he mentioned there were certain big names he’d not read either. I laughed, agreed and named a few of the authors I’d never read. He said I was worse than him, because he’d read most of those I hadn’t – it was all in jest, but it was true. It’s hard. There’s so many authors and books out there and I’m lucky enough to know a lot of authors now. I want to read their old ones, their current ones and their news ones. I also want to read the works of debut authors. And I still want and need to read the big names (I’ve ticked some off, like Rothfuss). Anyway, the battle with my To Be Read list goes on and I’m trying to mix the ‘huge’ names with the ‘big’ names with the ‘more people should read this guy/gal’ names and, last but not least, the ‘new’ names. I’ll never get there, none of us will, but I’m doing my best. 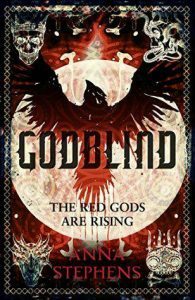 Check out some of 2017s debutants like R.J. Barker, Anna Stephens and Anna Smith Spark, as well as the SPFBO finalists – awesome way of finding fantastic fiction, and plenty of reviews from the excellent bloggers involved to highlight authors you’ll want to read, like Ben Galley (Rob: – Ben Galley is a previous confessor and you can check out his confession by clicking here), Dyrk Ashton etc. My last confession… Hmmm… What shall it be? Ah, yes… Dungeons and Dragons. I’ve only recently discovered D&D, thanks to my brother, Martyn, who practically lives for it these days – and I can understand why. I can’t believe that I’ve spent over three decades loving fantasy without playing this awesome game. It’s such a creative game to immerse yourself in. Creating characters. Playing out scenarios. Reading stories and stats and rules that are far more playable than ever before. I wouldn’t say playing it influences me as a writer, but I would say being a writer influences my gameplay. I really get into character creation and urge any of you who haven’t tried it to give it a go. Totally possible these days with the internet. Free software like Roll20 lets you hook up with folk near or far to play online. There are videos out there on YouTube, like Critical Role (all professional voice actors) and Acquisitions Incorporated (featuring Patrick Rothfuss, no less), which are fun to watch and give you an insight into how diverse the game can be, and how fun! As one of the co-founders of The Fantasy Hive fantasy community, I’ll be working with other members of the Hive to bring you articles and interviews about fantasy gaming, whilst others concentrate on books, TV, movies and much more. That’ll be worth checking out. We’re already on Twitter, Facebook and Instagram, as am I! Feel free to follow me, follow The Fantasy Hive and, last but not least, check out the FREE fantasy anthology I’m a part of, which also releases in January (15th): Lost Lore, a Fantasy Anthology by ‘The Terrible Ten’. Thanks for hearing my confessions. You’ve been awesome. I’ve been honest. Now go read Black Cross, First book from the tales of the Black Powder Wars, before the sequel launches in February. Fly, my pretties! Born Lancashire, England, J. P. Ashman is a Northern lad through and through. His parents love wildlife, history, fantasy and science fiction, and passed their passion on to him. They read to him from an early age and encouraged his imagination at every turn. His career may be in optics, as a manager/technician, but he loves to make time for writing and reading every day. Now living rurally in the Cotswolds with Wifey and their little Norse Goddess Freya, he’s inspired daily by the views they have and the things they see, from the deer in the fields to the buzzards circling overhead. Writing is a huge part of his life and the medieval re-enactment background and tabletop gaming lend to it; when he’s not writing the genre, he’s either reading or playing it. 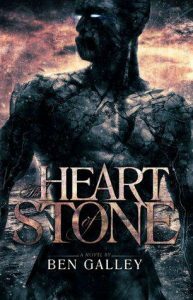 He plans to keep writing, both within his current series, and those to come, whether short stories or epic tomes. Rob, ye old dog. Ye grilled me good. Argh!